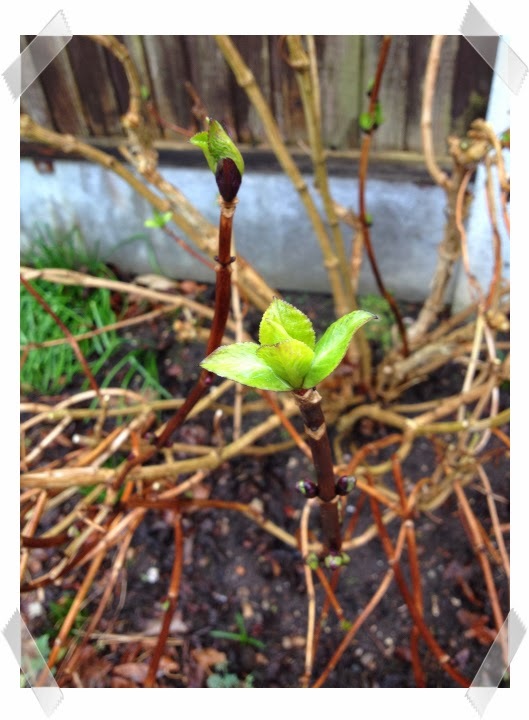 Blimey, it’s been so long since I joined in with How Does Your Garden Grow. I’ve really missed taking part but the house move took all of my time for so long that I didn’t get time to get into the garden. 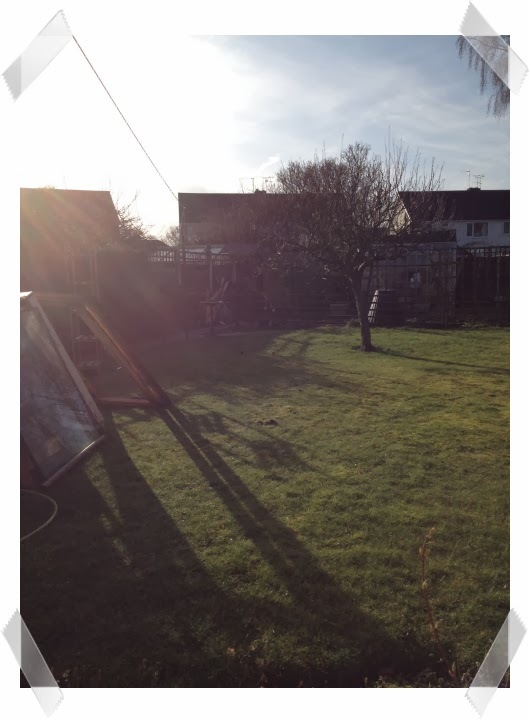 I was sad to see our old garden all empty after we removed the sheds, sunken seat, waterfall, swings, pots and arches. 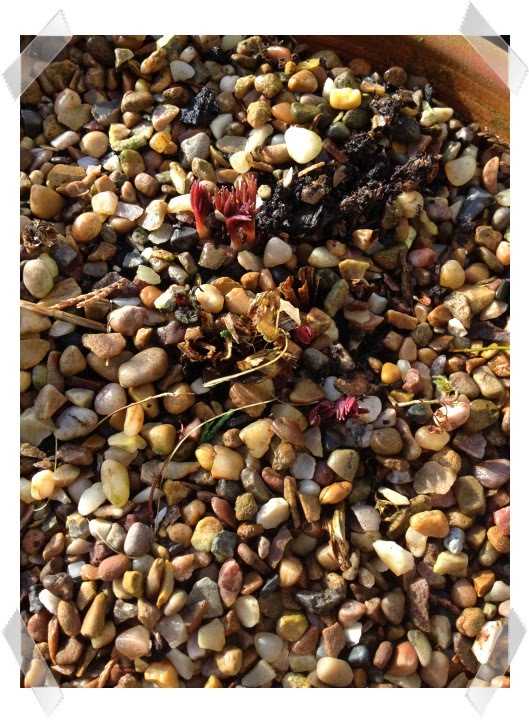 So onto my new, absolutely fabulous garden! When I saw the pictures of the garden while checking out houses on Right Move, I instantly fell in love. Ant loved this house for the second toilet and the garage and I loved it for the second toilet and the garden (the second toilet was very important to both of us because it was a nightmare having only one bathroom and 5 people!). We looked at a lot of houses, obviously, but this was the first one we saw, the one we both instantly loved and the one we then measured all the other houses against. I’m itching to get out in this garden and get it all tidied and ready for spring but I have so much still to do in the house that has to take priority. View from the patio door. Please excuse the big white unit. It’ll be going in one of the sheds or the garage when we get around to making space in one of them! Please also excuse the huge pile of wood. 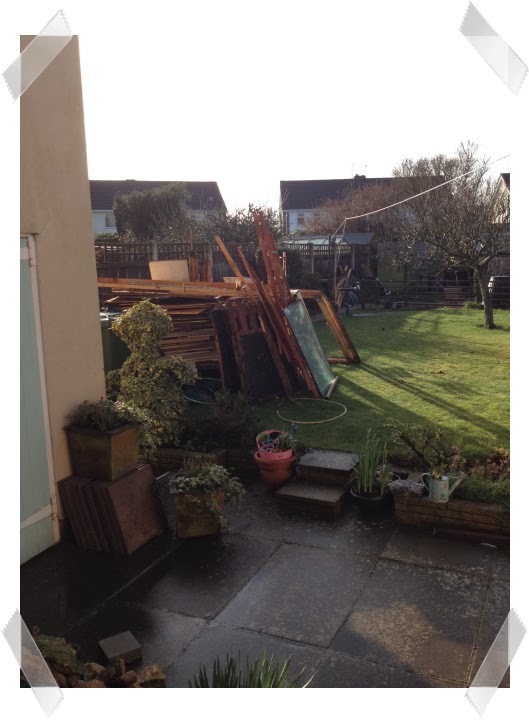 It needs sorting into good and bad wood then storing in the garage or shed when we get around to making space in one of them! Happy to see my spring bu;bs are coming through. They totally lift my mood when I start to get down about the amount of work still to do in the house. All my pots need sorting and homes finding for them. The kids love this massive lawn! 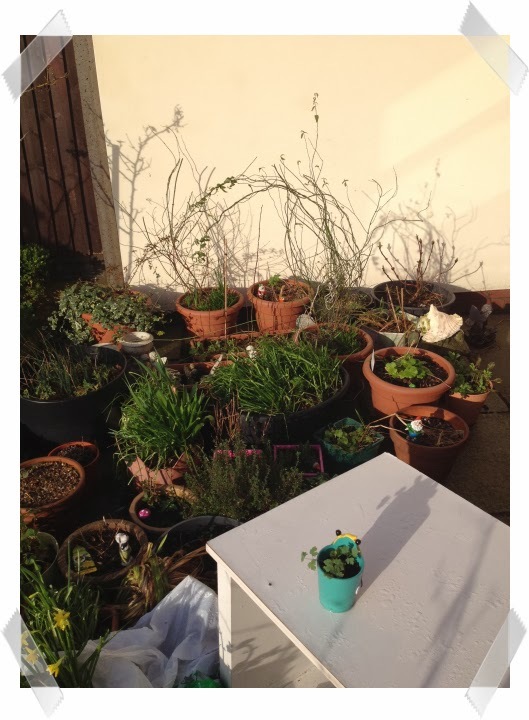 We only had a tiny one on the last garden and they were always complaining about not having much room to play because I’d taken up all the space with flowers. They can’t complain now! This is the vegetable garden at the top of the lawn area. I don’t think I’ll be planting veg this year because I’m going to be too busy to prepare the area the but next year it will be full steam ahead on the veg growing! I plan to serve all homegrown veg for our Christmas dinner next year! 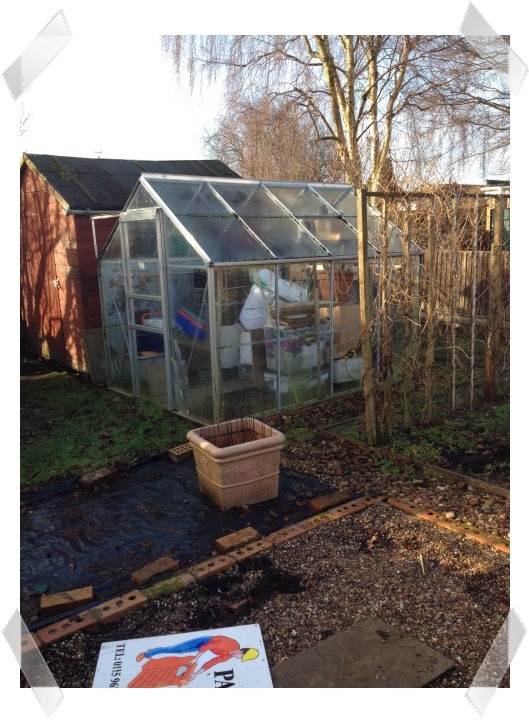 The greenhouse is being used for storage at the moment and it’s probably going to stay that way for a while longer! 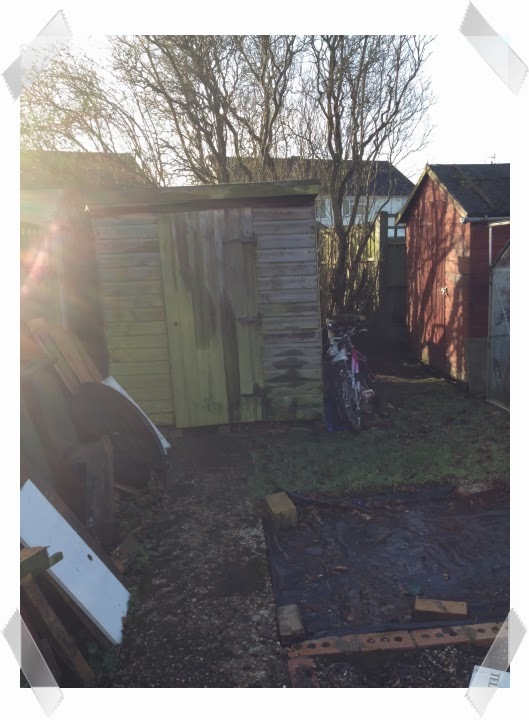 This shed is going to be for the bikes and toys but it needs some work doing first because the roof is leaking. I was so excited to see this lupin! I’d planted three a few years ago in our other garden and something ate them every year before they got chance to get much bigger than this. 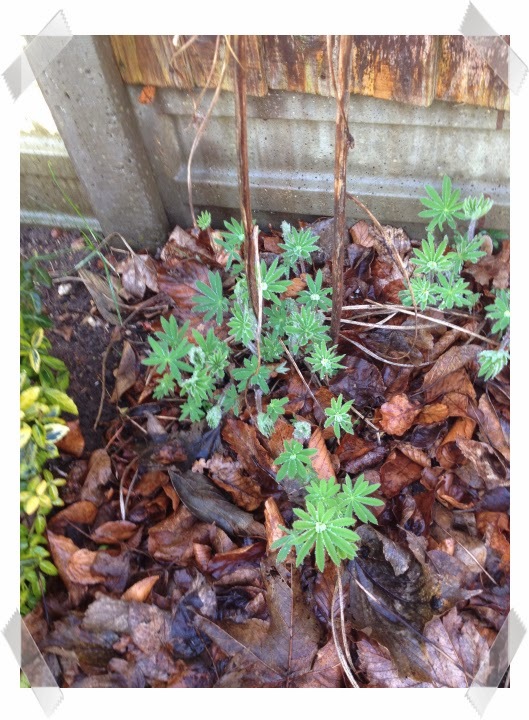 I gave up when they didn’t come back last year and decided lupins weren’t meant to be in our garden! My fingers are now well and truly crossed that this one gets to flower! 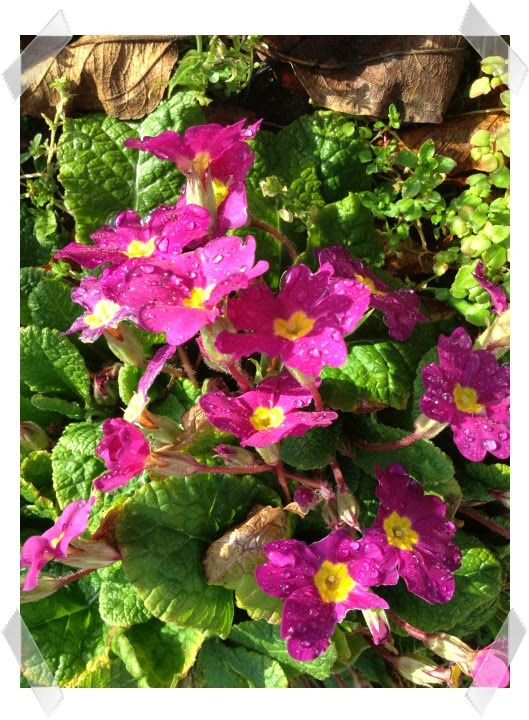 Seeing the shining sun and raindrops on these lovely primroses makes for a great start to the day! My favourite plant, the one that makes me happy every year when it starts to grow after its winter rest has to be my Bleeding Heart. I love this plant. 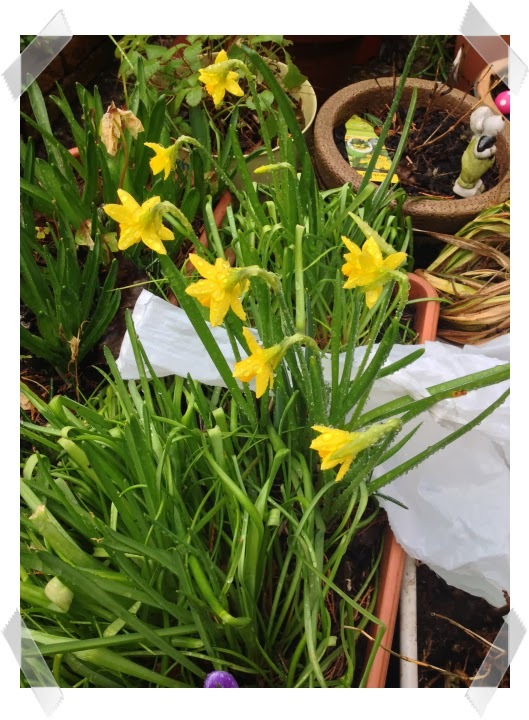 It’s so easy to grow and the flowers are wonderful. I now have the problem of finding a shady spot in this garden because it’s south facing. It has the sun on it all day and bleeding heart plants like shade. We bought some fruit trees when we first got the house but I’m still trying to figure out where to plant them! I’ve planted three, just these 2 left and the cardboard sleeves got wet and blew round the garden so I have no idea which tree is which! We bought peach, pear, cherry and plum I think. Sorry for the amount of photos, it’s been a long time and there’s a lot to show in my new garden! Wow, such an impressive garden! It's soo big, there'll be lots of playing space in there as well as growing! 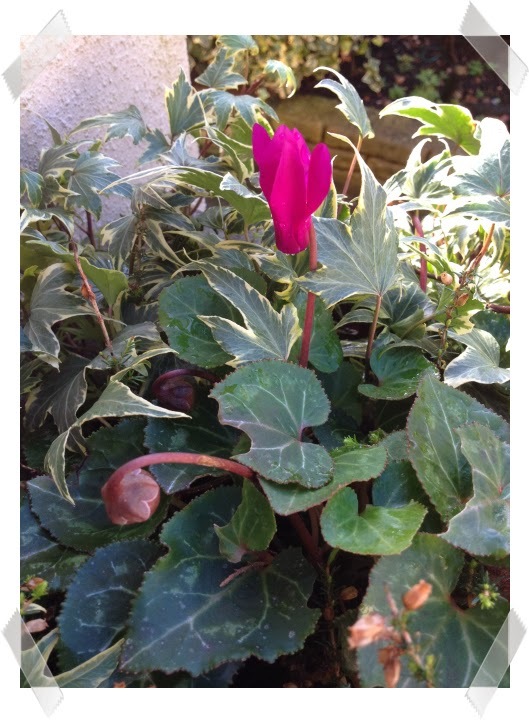 It must be nice to see things blooming already. It may be a work in progress but it's so a nice canvas to start from! Oh I'm so jealous of your veg patch! I'm longing to move from our flat to a house this year.I'm looking forward to seeing what you grow. What an absolutely beautiful garden! And such a great size too 🙂 As we live in London we are lucky to have a garden, but it is postage stamp size sadly 🙁 Hopefully we'll be having some sunny days soon so you can get out and enjoy your lovely new garden. Looking forward to seeing your journey with the garden as well as the house. 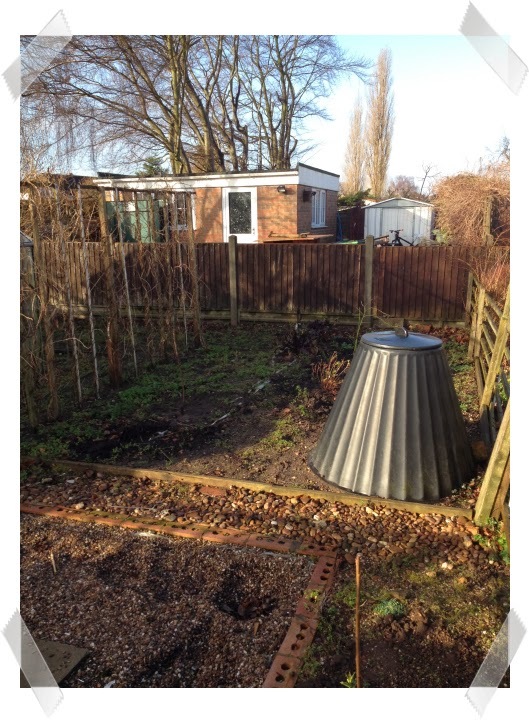 This is my plan for this year to get the garden sorted and hopefully grow some veg. That is going to be one stunning garden come summer. 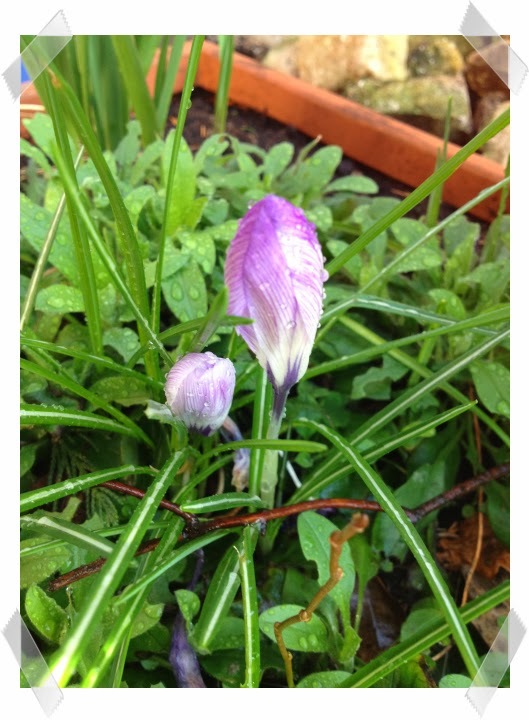 Cannot wait to see more photos when it is all in bloom. Love the size of the garden it looks really big. 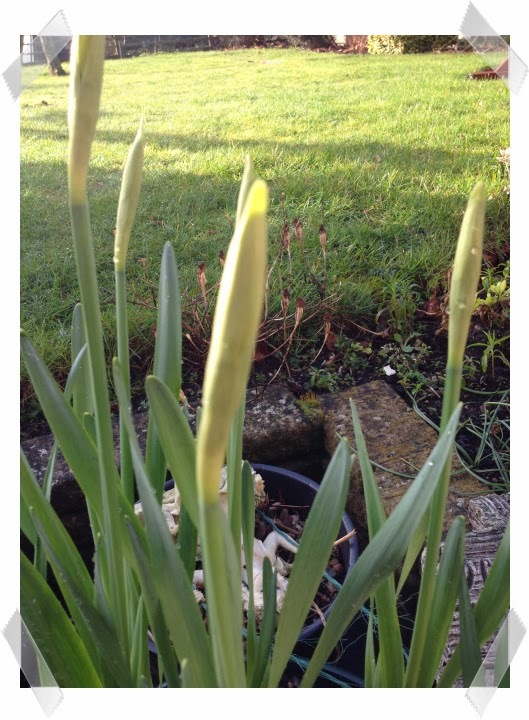 I do love this time of year when all the new flowers start to sprout. Now the house is finished i really want to make more of an effort with my garden this year. 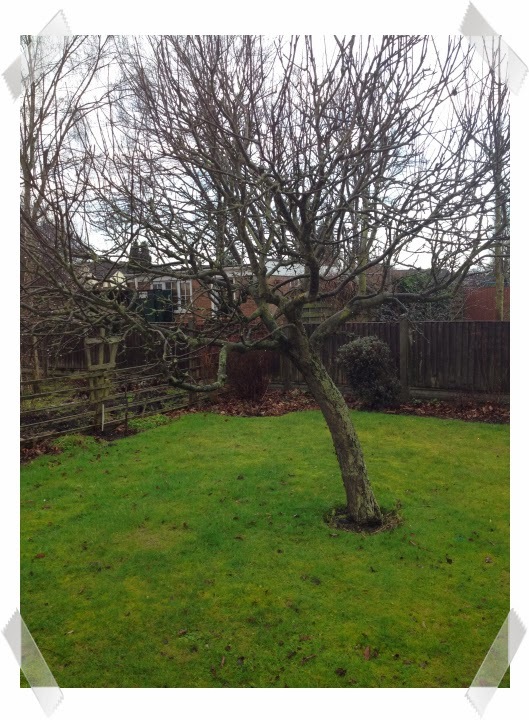 I love the big apple tree in the middle of the lawn, makes a great feature. Starting a new garden is such fun – we are finally getting around to doing our own garden now that we have fenced if off from the ducks! 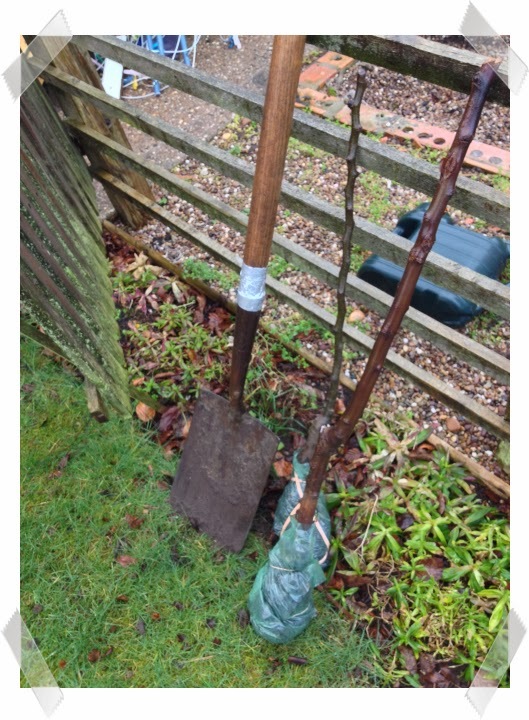 And good luck with the veg garden – I actually prefer veggie gardening to flowers! Very jealous of your garden. Anyones garden, in fact, as we live in a 1st floor flat! 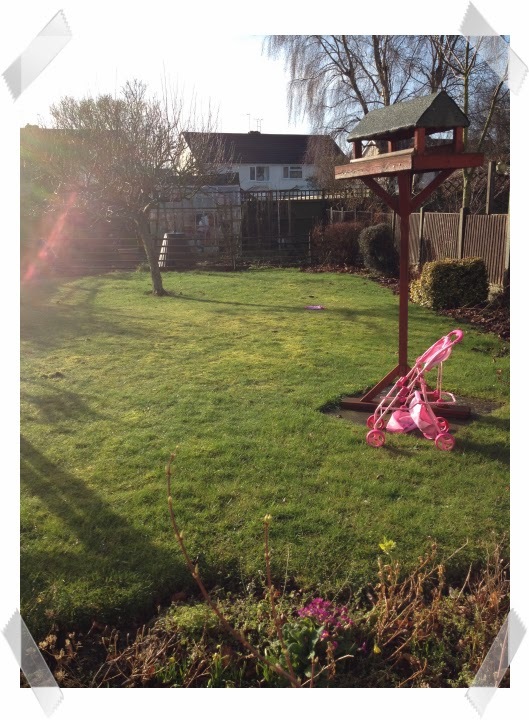 How exciting for you to have a whole new garden to play with and lovely for your children to have that lovely space. What a lovely spacious garden! I'll bet you're looking forward to some beautiful apple blossom soon. What an enormous garden – I'm very jealous! 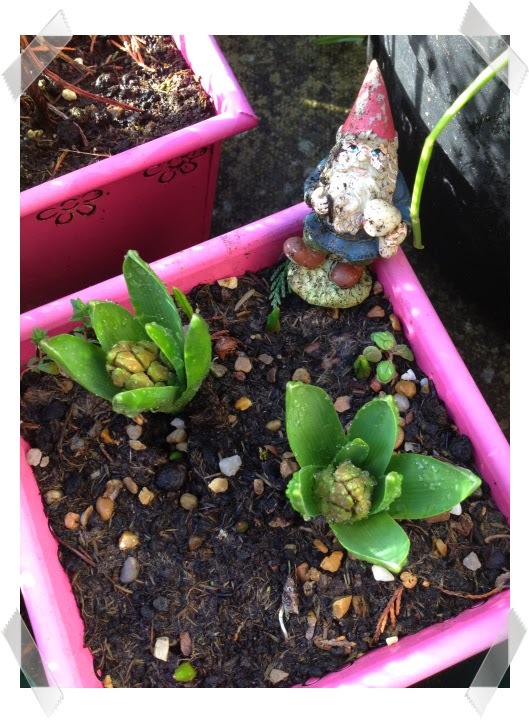 Love your gnome – does he have a name?! That really does look like a lovely garden and great that there isn't too much work for you to have to do immediately either. I look forward to seeing what you do with it! That garden has so much potential and having one big enough to make both a play space and a useful garden space is just lovely. 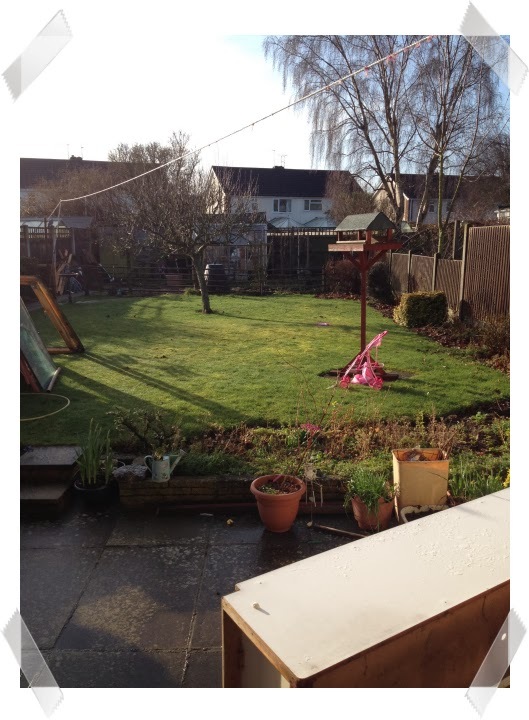 What a lovely big garden – I bet you can't wait for it to all come together?! 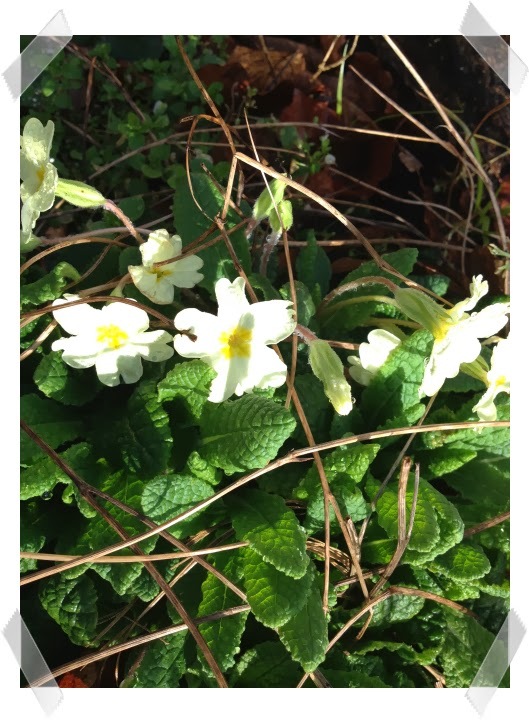 I just love seeing the flowers starting to come through as spring arrives – not much in our new garden sadly – makes me sad because our old garden would have a few things popping through the soil by now! I recently posted Finding Dory! I've got a bit of garden envy going on here. 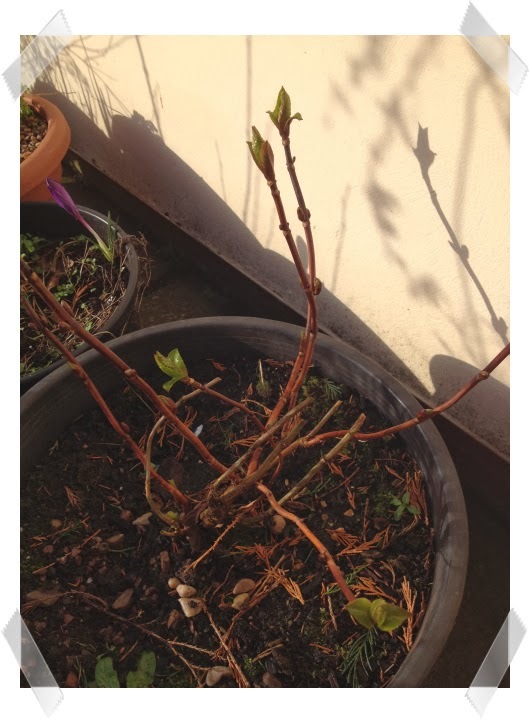 Your garden is HUGE and the fruit trees will be amazing when they start to produce fruit and you can pick it from your own garden 🙂 Lots of colour and Spring shoots, whhoopppeee! I'm sure you'll have lots of fun planning and planting this year. Beautiful garden! 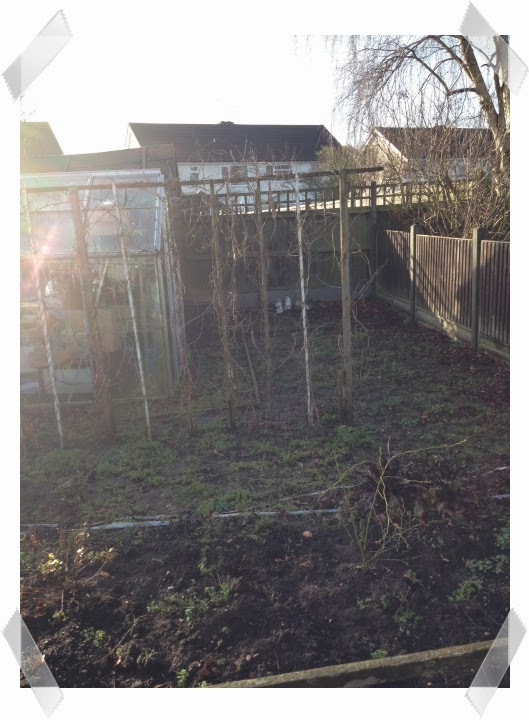 We moved into our (rented) property last summer and we have a lovely long narrow garden but needs lots of work, cant wait to make a start on it in the spring!